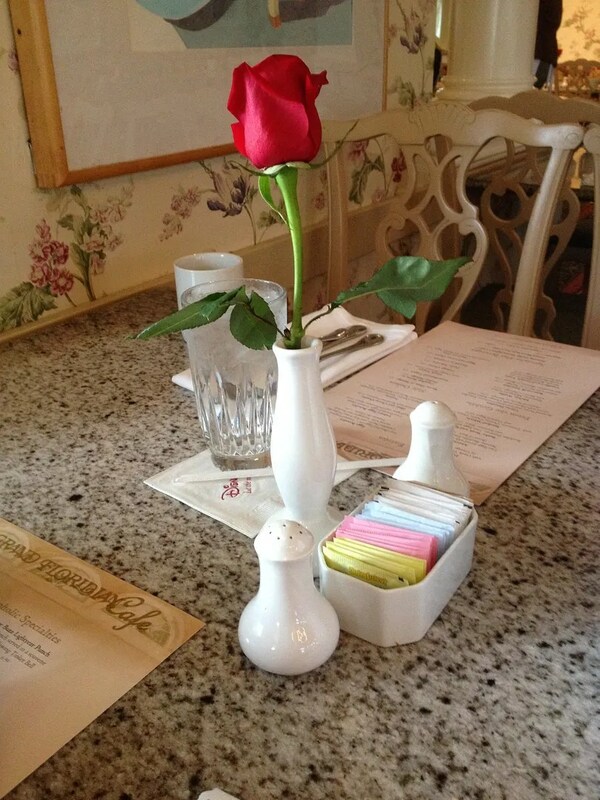 I love the bright and cheery atmosphere of the Grand Floridian Cafe and the placement of a single fresh cut rose on each table is such a nice touch…it always brings a smile to my face. I’ve only been to GFC twice before, both of these were also for breakfast. Due to my family’s aversion to getting up early enough in the morning to have a TS breakfast, I don’t have a great deal of experience with Disney World breakfasts. From the few that I have tried though, I would have to say that the Grand Floridian Cafe ranks at least in my Top 3, if not my Top 2 behind Kona Cafe. In addition to the atmosphere, like Brenda I also am a big fan of their french toast and had ordered it on each of my previous visits to the GFC. 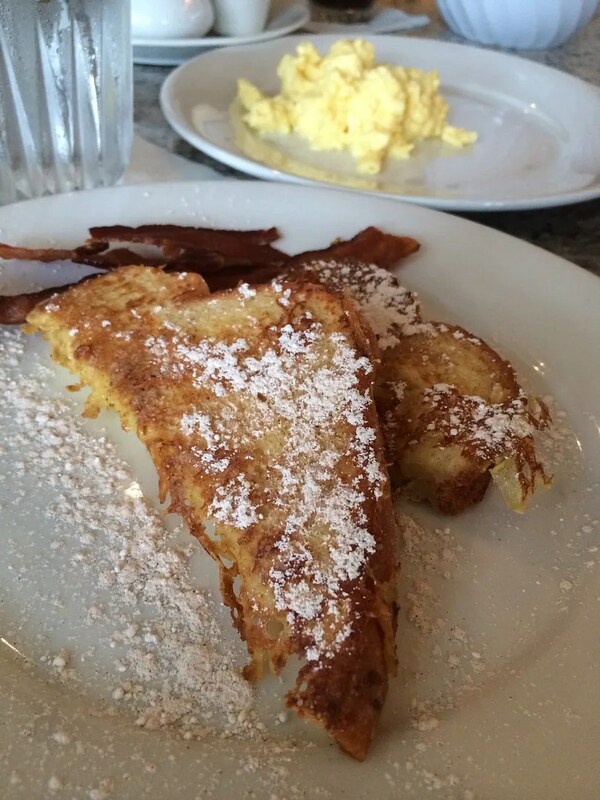 Pictured above is 1/2 portion, which included two half slices of french toast and two slices of bacon. In addition, we also requested a side order of scrambled eggs to share. This was all delicious! Brenda also ordered and loved the french toast, however Em went with the Mickey Waffle (no photo available). A great way to start any day with a smiling Mickey looking up at you!